Standing out and being seen. In an ever-more-crowded shopper environment, visibility is the number one challenge for so many food and drink brands vying for space and eyeballs on supermarket shelves. What does it take, these days, to make the leap into shopping baskets? How can your brand rise above its competition and strike a chord with consumers? A well-executed, honest and strategic public relations campaign could be a game-changer for your brand this year. Here are five reasons why PR pays off. A solid PR brief is likely to have multiple goals, from creating buzz for your latest new product launch to changing brand perceptions. But positive PR should result in elevated brand awareness. 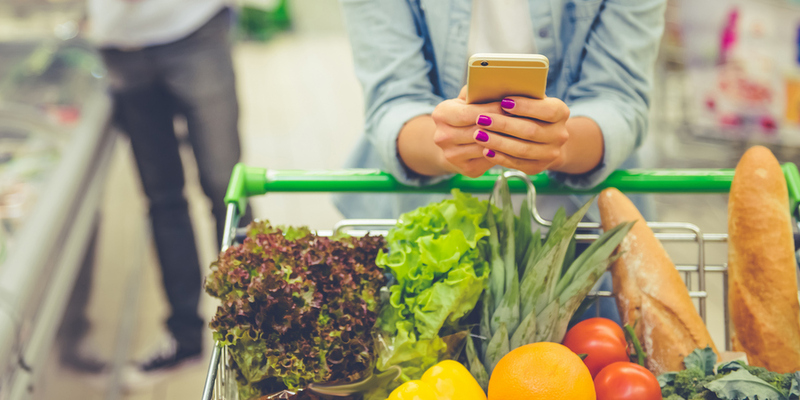 With heightened awareness comes the opportunity for more listings, as retailers will of course want to be seen to be stocking the most coveted food and drinks brands and be two steps ahead of their customers. By tailoring your messages and news stories to different media audiences – both trade and consumer lifestyle – PR can stimulate product interest across a range of channels, providing the perfect platform for you to break into out-of-home, convenience, on-the-go and others. In the process, PR can work hand-in-hand with your brand’s commercial teams to get your product in store, where it belongs. Attitudes are changing. While prices rise and wallets continue to be squeezed amidst ongoing political uncertainty, more and more consumers are actually actively seeking out products that have strong, ethical origins. The old adage you are what you eat, once used to promote healthy eating, now takes on new pertinence in the era of the ‘conscious consumer’. According to the Ethical Consumer Markets Report, 77% of UK shoppers agree it’s important to support British farmers, with 60% trying to buy British food whenever they can and over a third willing to pay more for it*. Furthermore, sales in ethical food and drink, including organic, Fair-trade and free range foods, reached an all-time high in 2015 accounting for almost 10% of all household food sales* and ethical product sales remain strong in spite of economic challenges. Being transparent about your brand’s roots and values, as well as your supply chain, through an open and thought-provoking PR campaign can provide the opportunity to surprise and delight consumers, and convert their future category spend towards your brand. Up against tough competition, it can be difficult to stand out. That’s where PR can play a crucial role. Great PR, at its heart, is all about storytelling. Your brand undoubtedly has a very distinct, and unique, personality that sets it apart from every other product out there. Use it. Perhaps you’re particularly passionate about Fairtrade and making sure that growers receive a fair wage. Maybe your vision is to shape the tastes of young children in a positive way. Or it might even be that you want to make sure that everyone can have their cake and eat it. Whatever you believe in, PR can make sure your potential customers are aware and engaged. Whether you’re a long-established brand or a hungry challenger, it’s likely that you’ll have built up a loyal customer base that are thirsty for more from you. An integrated media relations strategy – one that’s supported by regular social media activity and content generation – is essential to making sure that your fans are kept bang up to date with your latest news and delicious (or thirst-quenching) new arrivals. By approaching national, consumer lifestyle and trade press simultaneously, you can be sure that none of your potential customers miss hearing about what you have to offer. And in today’s always-switched-on world, social media is also perfect for gauging interest for NPD. A creative ‘teaser’ can garner real-time customer feedback and reactions, serving as a virtual litmus test before you officially bring your next innovation to market. It’s likely that you’re sitting on a treasure trove of great stories – you’re just too busy focusing on driving your brands’ growth to realise it. That’s where a great PR agency comes in; one that cares deeply about producing well-written content and doesn’t pass work down to junior staff. We’re trained at Highlight to get under the skin of your business, ask the questions that need asking, and to draw out the most interesting angles for the media. Whether it’s the untold truth behind your brand’s foundation, a surprising sales trend or even a great human interest story involving a team member, we’ll leave no stone unturned to present your brand in the best possible light. Highlight helps food and drink companies across the UK to be seen, heard and talked about through our integrated PR, content and social approach. Our experienced team helps you find your voice, tell your story and achieve your goals. Drop us a line and let’s get started.